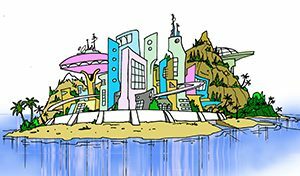 On a mission to save JoJo’s Ocean Home, the planet…and then the next planet. 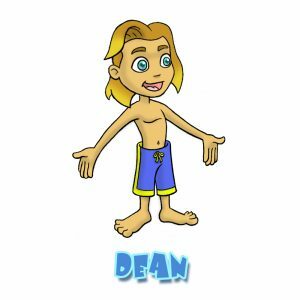 DEAN is a young explorer and adventurer, living on a quiet, pristine isolated island. This all changes one day when Dean meets JoJo and their lives are radically changed through engaging, thought provoking and wild adventures. Dean becomes JoJo’s human companion, trusted life-long friend and partner to save the planet. 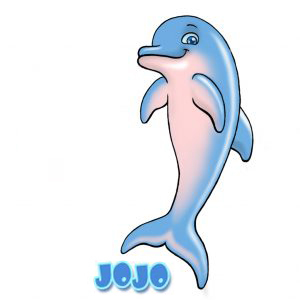 JOJO THE DOLPHIN is a young orphan dolphin befriended by Dean. JoJo has unmatched human potential, imagination, curiosity and wit. JoJo discovers his hidden strengths and abilities while seeking his true purpose. 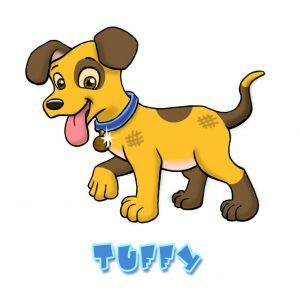 TUFFY is a lost therapy and rescue puppy castaway on a deserted island until discovered by Dean. Tuffy is JoJo’s playmate and a fearless island mutt. Nothing stops Tuffy from jumping in the water to play or off a cliff to rescue someone. Tuffy always dreams of being the super hero dog. 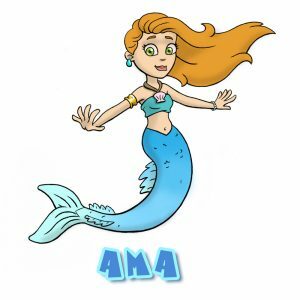 AMA is a beautiful mermaid and sculptress of the sea. When she is in the water her tail is silvery blue. When on land, she is a human named Amaryllis and unrecognizable as Ama the mermaid. She watches over Dean, JoJo and Tuffy when they are resting peacefully in their island hut, swimming in the ocean or when they are caught in the vortex of time. 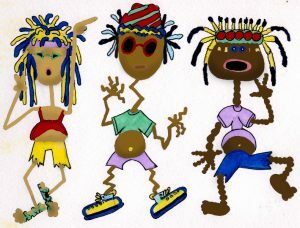 THE RASTA BROTHERS are always here to help. Their music transcends time and often gets Dean, JoJo and Tuffy back home….or at least close to it. 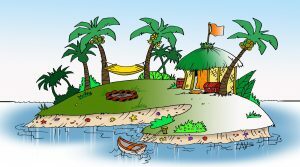 DEAN & JOJO’S ISLAND is a hidden castaway paradise where sea creatures and animals gather to communicate with one another in a telepathic language. Their island home is pristine sanctuary protected by international law. 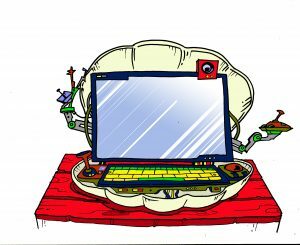 DEAN’S SECRET ISLAND PAD where he accesses the high tech “shell-a-vision” to learn about the latest global issues. Through the shell-a-vision, children from all over the world contact Dean & JoJo and work together to save the planet. SHELL-A-VISION – Through the shell-a-vision, children from all over the world contact Dean & JoJo and work together to save the planet. 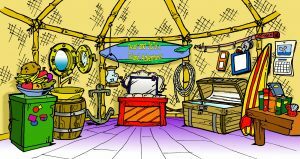 With the the press of one button Dean’s small island home is transformed into the GLOBAL, INTERNATIONAL PORTAL FOR SAVING THE PLANET. Dean & JoJo’s family of friends and animals are now capable of travel back through time, into the future and across dimensions. They may transport to a critical historical moment on Earth when they take on the task to correct the past with innovative ideas, technology, or a simple intuitive thought in order to encourage and engage children and youth to protect the environment, animals and the future. Sometimes getting lost on other planets or in vortex of time and space, Dean, JoJo and their global friends must team up with their fans across the trans-media world, engaging them in challenges on multiple platforms, working with kids, adults, scientists, and those who care about Earth and Humanity.